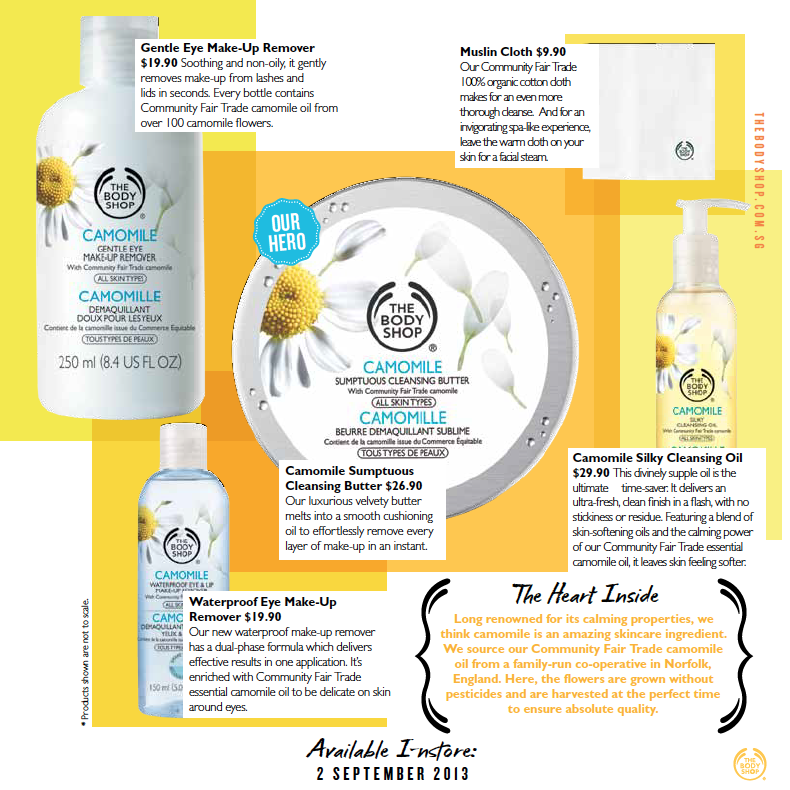 This Sep2013, The Body Shop will be launching their New Camomile Make-up Removal Collection! Enriched with the pure calming power of Camomile, smooth, gentle in texture. With every breath, enjoy the dewy, green notes of Camomile fragrance and revel in the fresh, silky-soft sensation of your cleansed skin. Camomile is an amazing skincare ingredient with calming properties. This Camomile oil is from a family-run co-operative in Norfolk, England. The flowers are grown without pesticides and are harvested at the perfect time to ensure absolute quality. 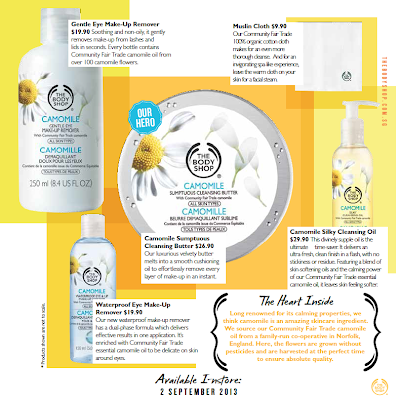 Super like their Camomile Sumptuous Cleansing Butter! A luxurious velvety butter melts into smooth cushioning oil to effortlessly remove every layer of make-up in an instant. Beside this Camomile Sumptuous Cleansing Butter, this latest Make-up Removal Collection also include Gentle Eye Make-up Remover, Waterproof Eye Make-up Remover, Camomile Silky Cleansing Oil. Available in all Body Shop 2 September 2013. The hottest makeup looks this A/W 2013.